ONCE IN A WHILE, you come across a literary gem of such beauty and refinement, it almost takes your breath away. 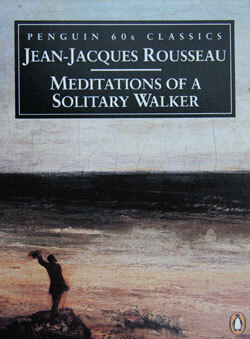 Les Rêveries du Promeneur Solitaire, an unfinished manuscript composed sometime between 1776 and 1778, is one of the last works that Jean-Jacques Rousseau ever wrote. The original text is divided into Ten Walks, with my particular Penguin pocketbook containing the First, Third, Fifth and Eighth Walks, which focus on his time spent on the Island of Saint Pierre, in the middle of Lake Bienne, Switzerland. 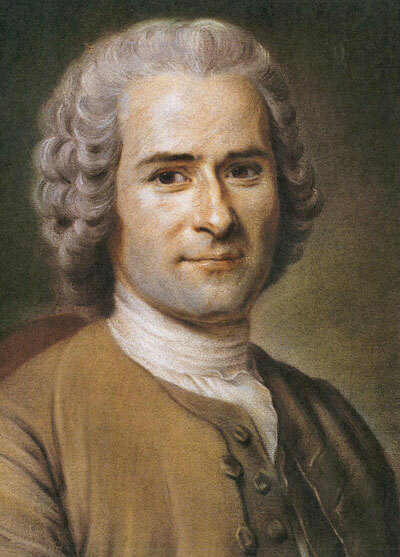 Reaching the forties milestone, Genevan thinker Rousseau (28th June 1712–2nd July 1778), one of the great European philosophes, is having the proverbial midlife crisis and is taking stock by assessing the life he has lived. Being of a similar age, this delicate tract provokes a certain nostalgia for similarly casting my own mind back over past events that have flown by with alarming speed, their memory leaving only vapour trails in the panorama of my current life. Since the days of my youth I had fixed on the age of forty as the end of my efforts to succeed, the final term of my various ambitions. I had the firm intention, when I reached this age, of making no further effort to climb out of whatever situation I was in and of spending the rest of my life living from day to day with no thought for the future. When the time came I carried out my plan without difficulty, and although my fortune at that time seemed to be on the point of changing permanently for the better, it was not only without regret but with real pleasure that I gave up these prospects. In shaking off all these lures and vain hopes, I abandoned myself entirely to the nonchalant tranquillity which has always been my dominant taste and more lasting inclination. I quitted the world and its vanities, I gave up all finery—no more sword, no more watch, no more white stockings, gilt trimmings and powder, but a simple wig and a good solid coat of broad cloth—and what is more than all the rest, I uprooted from my heart the greed and covetousness which gave value to all I was leaving behind. I did not confine my reformation to outward things. Indeed I became aware that this change called for a revision of my opinions, which although undoubtedly more painful was also more necessary, and resolving to get it all over at once, I set about a strict self-examination which was to order my inner life for the rest of my days as I would wish it to be at the time of my death. 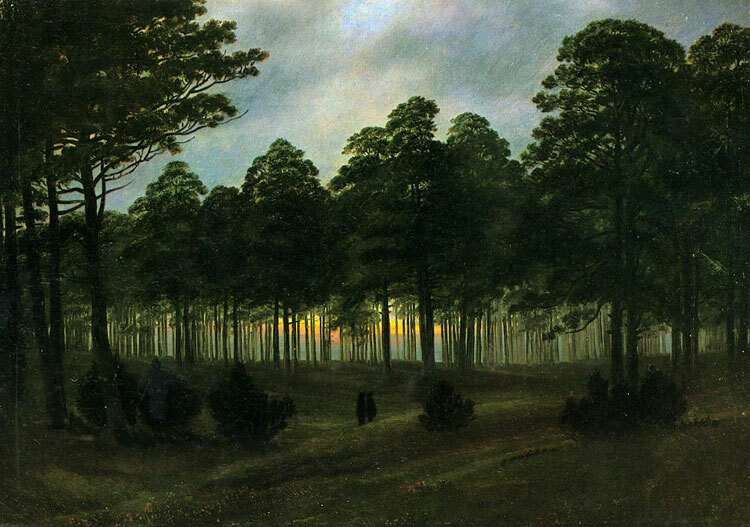 Caspar David Friedrich, The Evening. 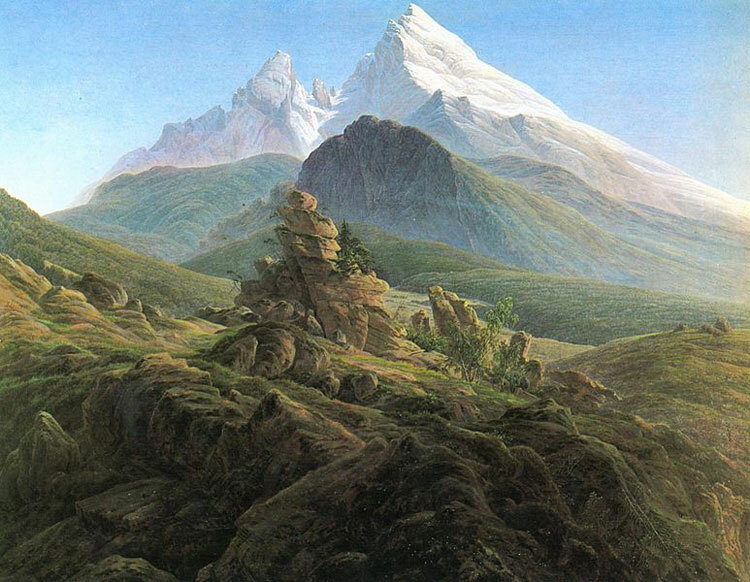 Rousseau laments the scorn and criticism that has been lavished upon him, which has led him to seek refuge far away from the vagaries of civilization and return, as far as is possible at least, to the life harking back to the “noble savage”, the idealized conceptual state of uncivilized man, symbolizing innate goodness, uncorrupted by the ways of the world. Why he suffers such acute opprobrium is not made clear in this particular text, though you can only assume it is owing to his philosophical stance against the principles of Enlightenment thinking and the sovereignty of the power of the mind. It is from this time that I can date my total renunciation of the world and the great love of solitude which has never since left me. The task I had set myself could only be performed in absolute isolation; it called for long and tranquil meditations, which are impossible in the bustle of society life. So I was obliged to adopt for a time another way of life, which I subsequently found so much to my taste that since then, I have only interrupted it for brief periods and against my will, returning to it most gladly and following it without effort as soon as I was able; and when men later reduced me to a life of solitude, I found that isolating me to make me miserable, they had done more for my happiness that I had been able to do myself. But if there is a state where the soul can find a resting-place secure enough to establish itself and concentrate its entire being there, with no need to remember the past or reach into the future, where time is nothing to it, where the present runs on indifferently but this duration goes unnoticed, with no sign of the passing of time, and no other feeling of deprivation or enjoyment, pleasure or pain, desire or fear than the simple feeling of existence, a feeling that fills our soul entirely, as long as this state lasts, we can call ourselves happy, not with a poor, incomplete and relative happiness such as we find in the pleasures of life, but with a sufficient, complete and perfect happiness which leaves no emptiness to be filled in the soul. Such is the state, which I often experienced on the Island of Saint Pierre in my solitary reveries, whether I lay in a boat and drifted where the water carried me, or sat by the shores of the stormy lake, or elsewhere, on the banks of a lovely river or a stream murmuring over the stones. Rousseau was one of the first philosophers to make the clear distinction between amour de soi, love of self or innate self-esteem, and amour-propre, self-love or egotistical pride. 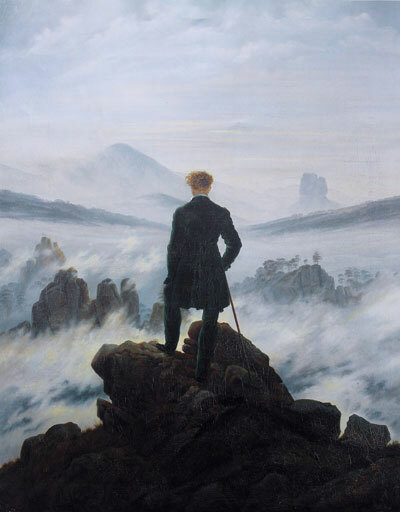 Caspar David Friedrich, The Watzmann. Unfortunately, Rousseau’s political philosophy is often associated with the extreme, and heinous, aspects of the French Revolution, which was adopted by the likes of Maximilien Robespierre and Louis Antoine de Saint-Just to justify their so-called Reign of Terror. Everything is finished for me on this earth. Neither good nor evil can be done to me by any man. I have nothing left in the world to fear or hope for, and this leaves me in peace at the bottom of the abyss, a poor unfortunate mortal, but as unmoved as God himself.